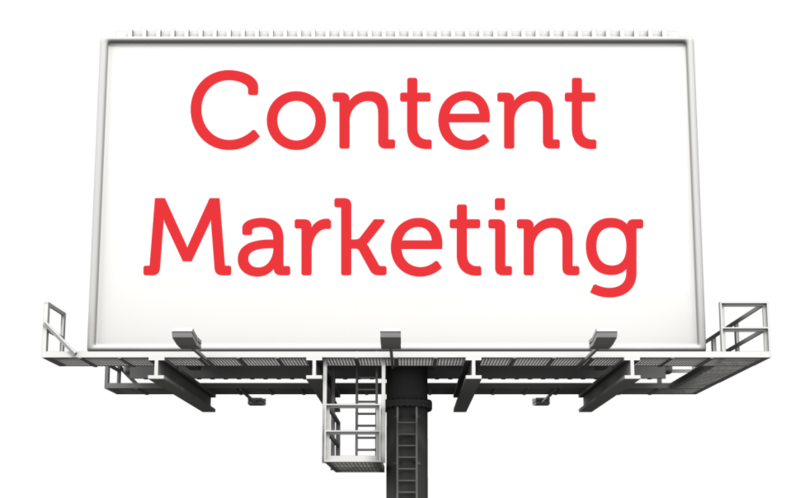 Gated content is a staple of any effective inbound strategy. By requiring visitors to fill out a form before accessing a valuable piece of content, you can gather key information to fuel your lead generation strategy. But not all content is worth gating behind a form. If your gating strategy isn’t properly configured, you run the risk of driving away qualified leads. We've laid out three questions to help you assess whether or not to gate a piece of content. 1. Is this piece of content valuable to your buyer personas? One of the most essential things that should factor into your decision of whether or not to gate a piece of content is its perceived value to your target audience. By gating your content behind a form, you’re asking site visitors to take an extra step and give you something in exchange for the asset you're offering. If your content isn’t going to be highly valuable to your persona to begin with, the chance that they’ll put in the extra effort to access that content is slim. For example, a blog post that briefly covers a topic will be perceived as far less valuable than an ebook that provides a comprehensive deep-dive into the same topic. In this case, it would be logical to gate the more valuable piece of content because a user is more likely to go through that extra step to access a piece of content they know will resonate with their goals or pain points. If they don’t feel like that piece of content will effectively address their needs, that extra effort and ask to access it may come across as unwarranted or even vexing. Objectively evaluate the value of your content before choosing whether or not to gate it. Ensure that the piece of content will be perceived as being worthy of your audience's engagement before you gate it behind a form. If you're confident that your content will be valuable and relevant enough to warrant the extra effort of filling out a form, gate it with inbound form strategy best practices. 2. What type of user intent does this piece of content reflect? The intent of a website visitor plays a significant role in their willingness to fill out a form to access a piece of content. A user that is highly interested in your product or services is far more likely to fill out a form than a user that may still be indifferent to your brand. For example, if a user is exclusively viewing blog posts, it’s unlikely that they’re sold on your brand and may not yet feel comfortable giving out personal information. 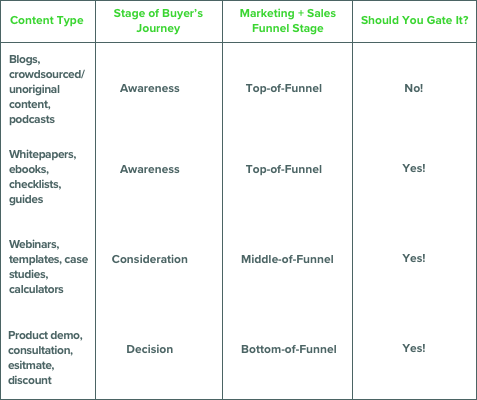 Conversely, if a user is interested in a middle or bottom of funnel content offer like a product demo, it’s likely that they’re ready for a sales conversation and will happily provide their contact information. In this case, a bottom-of-funnel form would be an appropriate requirement for this type of content. 3. Are your competitors offering similar content un-gated? Today's consumers are busy and inundated with options. If they can access a similar piece of content without having to go through the trouble of filling out a form, they will. Research what your competitors are doing to ensure that your content gating strategy is not asking visitors for too much information in return for comparatively too little value. If your top competitors are offering their whitepapers on formless landing pages, you may want to consider adopting a similar strategy. By mirroring the gating methods of your industry peers, you won’t drive away leads solely due to the presence of a form. the gating strategy of direct competitors. At New Breed, we like to gate our pieces of content in accordance to their place in the Buyer’s Journey and the marketing and sales funnel. Creating your gating strategy with the content's value and buyer stage in mind will promote lead generation and help shape the way your marketing and sales teams engage with new leads captured by the form. Additionally, your forms "asks" must mirror the detail and value of their attached content offer and their position in the marketing and sales funnel. Want to learn how to improve your web content strategy alongside your form strategy? Check out our latest webinar recording, How to Use Exceptional Website Content to Tell a Story That Sells.